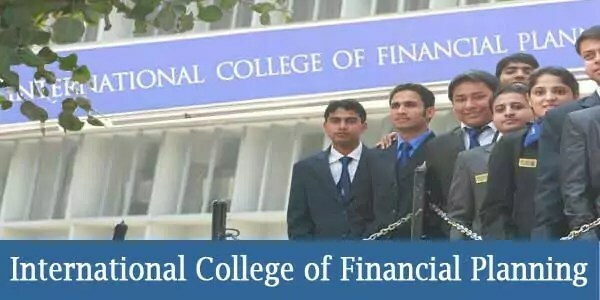 ICoFP Delhi is an authorized education provider of the Financial Courses Standards Board (FPSB) India. The college has built up a student base of more than 10,000 students in this short span. ICoFP MBA is the market leader with a market share of 85%. Above all ICoFP Delhi is often referred to as the father of financial planning profession in India. Synthesizing over fifty years of trust in finance Sector by the parent company Bajaj Capital Ltd. Hence ICoFP Delhi MBA created to bridge the gap between the huge demand for trained planners and their limited supply. Therefore ICoFP MBA Courses are very Carefully pragmatically Designed and Delivered in ICoFP MBA Variable Fee. ICoFP Delhi Vision / Mission Vision-: it encompasses overall development of the professionals who would become the torchbearers of financial services revolution in India. Mission-: Our Mission is to become the coveted choice of students as well as Financial Services Industry. Class 12th Certificate / 10th Certificate. ICoFP Delhi Campus, Mumbai Campus, Bhubaneswar, Kolkata, Jaipur, Guwahati, Ranchi, Jamshedpur, Patna, Kanpur, Allahabad, Lucknow, Chandigarh.